Joshua F. Maxwell, DDS, FAGD, FICOI, PC - General, Cosmetic & Implant Dentistry! Renew Family Dentistry led by Frisco, TX dentist Dr. Joshua F. Maxwell is proud to provide General, Cosmetic and Implant Dentistry. Dr. Maxwell is the first general dentist in Frisco, and only one of three general dentists in the entire DFW metroplex to be designated as Premier Preferred Provider by the makers of Invisalign Clear Aligners. Having achieved Fellowship status in the International Congress of Oral Implantologist, Dr. Maxwell has proven his dedication and commitment to the advancement of dentistry and improving the lives of those suffering from the emotional pain and physical hindrance of various forms of tooth loss. 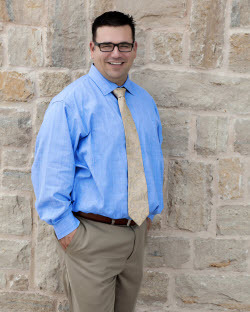 In 2012, after developing a reputation of excellence, trust and partnership within the Frisco and surrounding communities, he proudly became the "Official Team Dentist" for the Dallas Maverick's affiliate, The Texas Legends NBA-D League in Frisco, Texas. Since then, he has sponsored several Frisco community events, like “Frisco StrEATS” and he enjoys helping with donations to the Frisco Family Services Food Pantry.Dr. Maxwell became a first time sponsor of The Star in Frisco in 2016. We are very excited about collaborating with this amazing organization! His private practice offers routine cleanings for preventive care, laser assisted periodontal treatments, various sedation options, cosmetic dentistry, teeth whitening options, crowns, Invisalign Clear Aligners, implant surgeries and restorations, wisdom teeth extractions, root canal and more all at our location in Frisco. Dr. Maxwell and his highly skilled team of dental professionals look forward to caring for you and your family and delivering a rewarding dental visit sure to make you smile. Dr. Maxwell and his team of professionals work hard to ensure that you are able to make educated decisions as you partner with him to customize your individual treatment plan. Due to the consistently emerging evidence linking your oral health to other systemic diseases, such as heart disease and diabetes, we now know that you cannot have a healthy body without a healthy mouth. A healthy mouth, body and a little peace of mind are just a few of the advantages of combining your short and long term treatment goals with his expertise, commitment to excellence and superior customer service. As one of the top Dental practices in North Texas Renew Family Dentistry services the Frisco, Prosper, Plano, The Colony, Little Elm, Allen, and McKinney areas. Call (469) 633-0550 or Request An Appointment Online!